There is magic to be found if we’re conscious of the love in our lives. There’s a lot of serious stuff going down in the world everyday. Luckily, the planets this 2019 encourage us to start tuning into the positive (in between tackling the hard news, of course). There is magic to be found if we’re conscious of the love in our lives. Tune into Jupiter’s optimism and Neptune’s willingness to turn to the esoteric for guidance (anything from crystals to tarot to this horoscope right here) to ignite the spark back into your love life this year. Do you really want to be tied down this year, Aries? Freedom has always been such a big deal to you. Committing yourself to a partner may just get in the way of all the bigger and brighter things you’ve always wanted. The only caveat here is if you find someone who manages to open up your world in ways you could have never predicted—maybe someone who lives on the other side of the world? Live large. You’ll find, as the months progress, that you’re not going to settle for a partner who ticks just a few of the boxes. You’re in want of an earth-shattering mind-blowing love and there’s no shame in that. Not everyone finds a special connection and let’s just say your antennae are extra-perceptive this 2019. Don’t let relationships consume you. Be your own person. The year of the grand gesture, you’re going to experience extreme highs and lows as your love life slowly climbs into a surprising climax. On the one hand, this could mean something as major as a proposal—on the other hand, it could also mean a separation you’ve seen coming for a long time now. Take the highs with the lows, Gemini. Look at love like an adventure. You can relax and wind down from the relationship shake-ups of the previous year. 2019 is all about flexibility and adapting as you move on to some next-level commitment issues. You always do so well, pleasing your partner. Devote some time this year to really making sure that compromises work both ways—you shouldn’t be the only one making sacrifices in your relationship. It’s all passion and high-flying adventure for your love life this year, Leo. If you’re already partnered up, throw caution to the wind and book that bucket list vacation already (what are you waiting for?). If single, get ready to set your sights on someone who’s not from your locale. Turn on your Tinderella powers as you jet off to new, adventurous, romantic possibilities. You’ll be gifted with a love life upgrade this year, Virgo. There’s a lot of growing up that’s going to be tackled as far as romance goes. Whether that means leveling up your game by doing a much-needed DTR with the person you’re seeing, deciding to get pregnant, or even choosing to take the plunge and get married, get ready to get real serious. You’re great at small talk, first dates, and awesome first impressions… but 2019 is daring you to go a little further than what you’re used to and bond a little deeper. You’re challenged to feel a little unsafe (something you’ve always had trouble with), but it’ll all be for the best. Watch out for spats that are stirred by jealous outbreaks. Find a way to heal your own wounds without inflicting harm on your partner. This year, the Universe is committed to changing your mind about love. 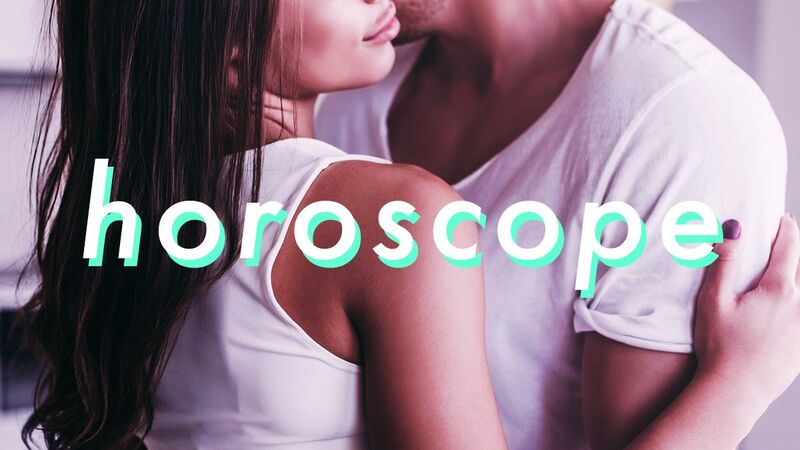 If you’ve been convinced, all your life, that you’re only attracted to a certain “type,” get ready to bite your tongue this year and discover that it’s possible to fall in love with someone totally unexpected. Scorpios love a good plot twist anyway—so whatever comes up will surely keep you happy. Self-love is your battle cry this year, Sagittarius. That’s not to say that it’s not possible for you to fall in love—it could happen smack dab in the middle of you, doing everything to please yourself. If a potential partner does come knocking at your door this year, chances are, you’ve laid the groundwork for a commitment that lasts—something that’s built on all the love you’ve invested in yourself. Admitting that there’s a problem is the first step to finding love, Capricorn. If you’ve been in denial about a relationship that you know just isn’t leading anywhere, now’s the time to ‘fess up. Once you hit the brakes on what doesn’t work, soulmate level attraction can come in and sweep you off your feet. Don’t lose your head over the romance curveballs that are headed your way. Welcome them. You’re feeling extra infatuated with love this year, Aquarius. Celebrate those rose-colored glasses as much as you want… because the Universe is going to pull you back to the ground as soon as you go into overdrive with your illusions and fantasies. A significant relationship you’ve been nurturing and cultivating over the last couple of years will reach its final chapter. You decide what happens next. It may seem like a long shot for you to fall in love with anyone in your social circle, but this year will teach you that relationships born out of friendship are always better. Stay open. Don’t resist. Mid-year might offer the opportunity to go on a romantic getaway, leading to a passionfest that’ll transform 2019 into one of your biggest milestones. Say yes to everything this year.